We produce custom machines that allow you to work safely and efficiently. 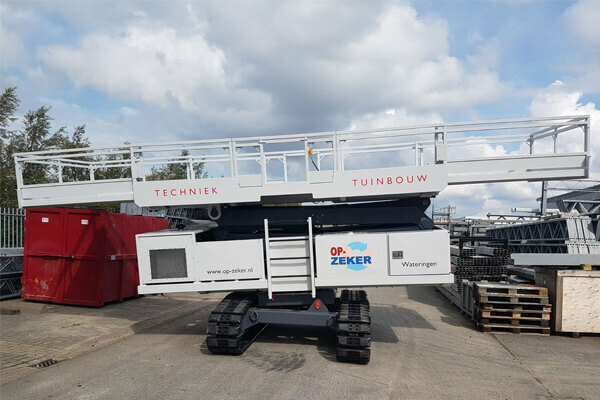 Wij leveren machines op maat waar je veilig en efficiënt mee kunt werken. 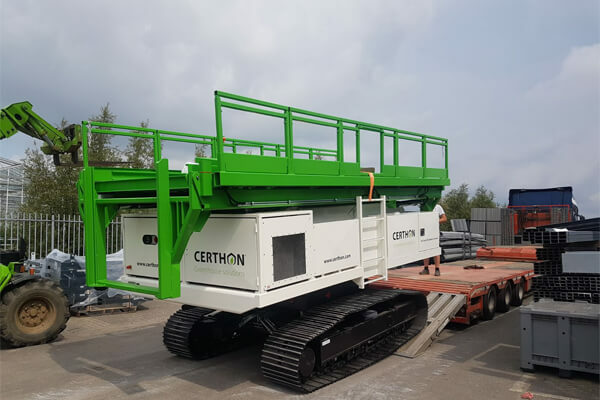 This caterpillar scissor lift with a four-part platform has a maximum platform height of 9.5 metres. This glazing machine has a maximum platform height of 9.5 metres. 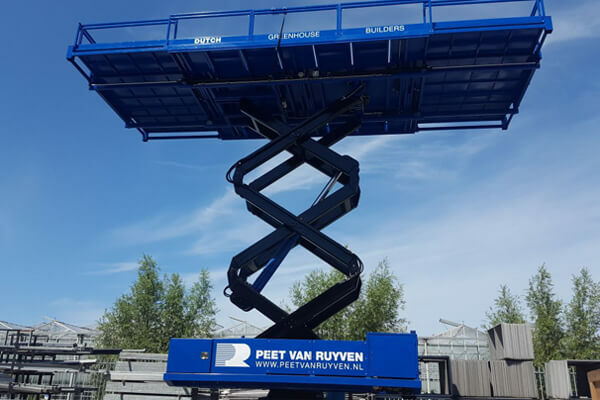 This glazing machine with a maximum platform length of 9.5 metres has a maximum platform height of 9.5 metres. 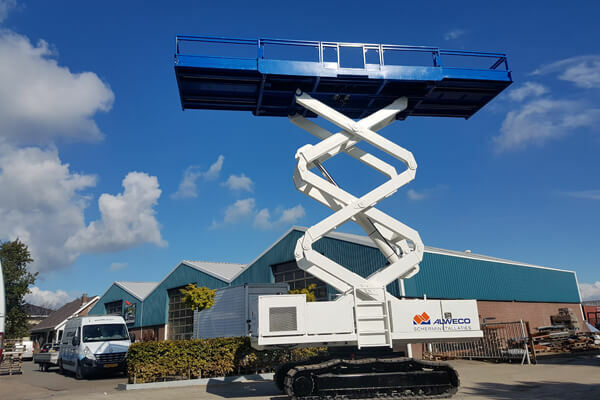 This glazing machine with a maximum platform length of 8 metres has a maximum platform height of 9.5 metres.